On Thursday, October 18, 2018, Eula W. Payton was called home by our Heavenly Father during her stay at Accordius Health and Rehabilitation, Gatesville, NC. She was born on June 11, 1946, in Gates County, NC, to the late Bessie Boone and Ernest L. Watford. Eula joined Union Branch Baptist Church at an early age, where she served as a faithful member of the choir until her health would no longer allow. Her love for singing and music led her to become a singer with the C.I. Jones Gospel Singers. She attended Gates County Public Schools. She held various jobs throughout her working career. Eula's greatest joy was her family, whom she loved dearly. She was adored by her grandchildren and great-grandchildren, whom she was affectionately known to as "Nanny". 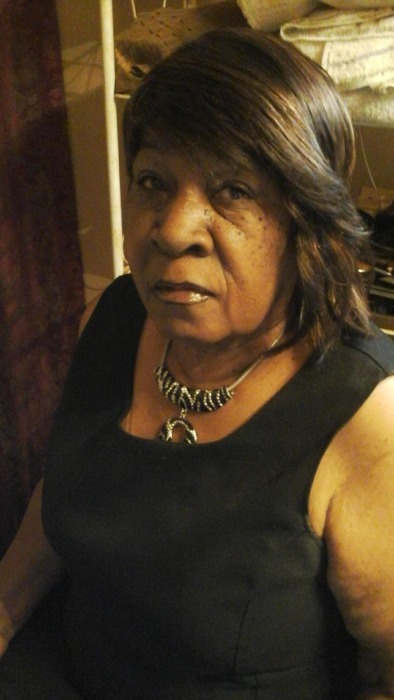 Eula was preceded in death by her parents; her beloved husband, Willie A. Payton, Jr.; two daughters, Renee M. Jones and Sandra D. Twine; and two sisters, Maggie E. Watford and Mamie S. Hobbs. The family will receive the friends of the community and family on Wednesday October 24, 2018 from 4:00pm-7:00pm at the funeral home. A celebration of life will take place on Thursday October 25, 2018 at 12:00pm at Union Branch Baptist Church.